The ACL (anterior cruciate ligament) is an important stabilizing ligament in the knee that connects the thighbone to the shin bone. It plays a very important role when making sudden changes in direction, jumping, or pivoting such as on the basketball court. Unfortunately, occasionally a sudden change in direction at the wrong angle can lead to tearing. The tear may be accompanied by a loud popping as well as significant pain and swelling. ACL reconstruction surgery is generally done after the initial swelling and inflammation caused by the injury subsides and range of motion is near normal. This may take a few weeks. You may be advised to perform some pre-surgical physical therapy to strengthen the knee muscles and regain your motion. The surgery can be performed as an outpatient procedure using minimally invasive techniques to minimize damage to surrounding healthy tissue. 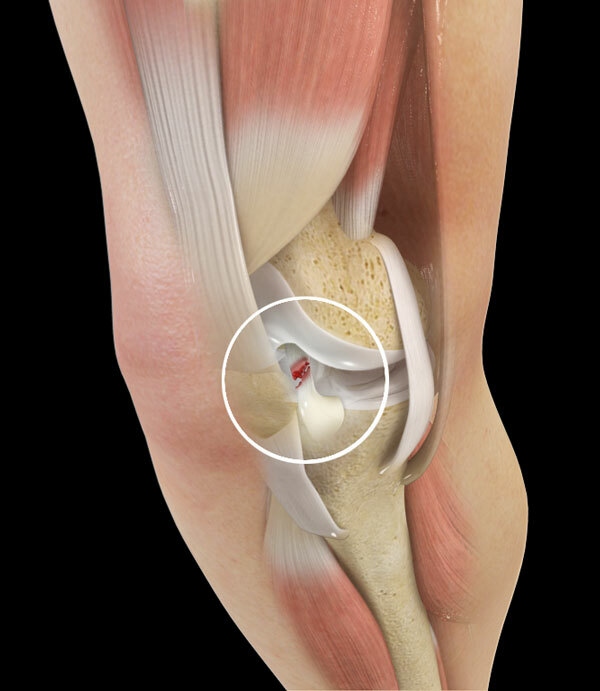 The tissue used to replace the torn ACL is typically taken from another part of your knee. The entire procedure will usually be completed within 1-1.5 hours and you may be allowed to return home after a 1-2 hours in the recovery room. Your active participation in physical therapy is critical to regaining your strength and mobility. The rehabilitation program will start with passive range of motion and progress to active range of motion, strength training, and finally sport-specific training. Full recovery may take anywhere from 6 to 12 months. Sustaining an ACL tear can be a life-altering event, but with advances in ACL reconstruction surgery, you can still get back to the game you love. Many professional, collegiate and high school athletes have returned to performing at the highest level after ACL surgery. Book an appointment with Dr. Ronak Patel, a knee specialist, to help you with your injury.